As I was browsing through the books I had read on goodreads, I realized that I had never written a review for And Then He Kissed Her. 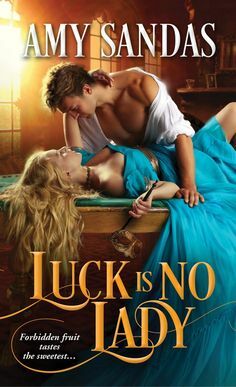 And so I must share my thoughts on a wonderfully written romance that won my heart over years ago, and I believe I have read this book so many times that I might be due for a new copy, since the pages are starting to fall out!! hehe So let me share why this book is a must read for any romance reader. It begins with our heroine, Emmeline, who is a writer and works for Harry Marlowe. She has a talent, and wants to share her ideas on etiquette, but her boss keeps turning the idea down. So she ups and quits, and decides to find someone else who will take on her etiquette pages. Harry doesn’t believe that Emma’s pages on etiquette will be useful to anyone, he believes they will be bored and he will just lose money there. So she works for his rival, and surprisingly become all the “rage” in London, and Harry is shocked that even his own family thinks that these pages are worth following as everyone else is doing. And thus begins a passion filled romance that will knock your socks off. And oh boy, this story is well worth the read!! I remember the first time I picked up this book, and I couldn’t put it down. And it doesn’t matter how many times I pick it up, I always get plenty of laughs and giggles. The bantering play by play between Emma and Harry is contagious but what a great match they make for each other. They are both characters that have similar interests and desires. They are both talented writers and readers. Our heroine is a lovely character. We see a character growth, where she decides to go after her own dreams and desires. Our hero is pretty funny to be honest. I love the way he looks at life, in a very practical manner. Seeing these two come together in the end is simply marvelous. They might seem like opposites in some ways, but they really balance each other out in all the right ways. Their relationship just fits just right for this story. And the emotion that this author shows to the reader is heart wrenching. From beginning to end, the reader is swept away by Harry and Emma, the way they connect, and sizzle, the laughs and tears—PURE CHEMISTRY! !